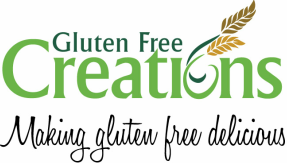 Contact Us - Gluten Free Creations, Inc.
Like us on facebook and know what's happening with Gluten Free Creations, Inc. If you are interested in making a special order or have questions, please complete the form below. Or you can call us at our number stated above. NOTE: Completing this form does NOT confirm an order. If you are attempting to place an order, your order is not confirmed until you receive an email or phone call from us. Any cake orders need to be placed a week in advance. Regular orders need to be placed at least 3 days prior to the market at which you are picking up. Thank you. Not Applicable Eskenazi Health Farmers Market, 720 Eskenazi Ave, Indianapolis, IN. Tuesdays, 11 a-1:30 p. Avon Farmers Market, 8244 E. US HWY 36, Avon, IN. Tuesdays, 4-7 p. Original Farmers Market at City Market, 222 E. Market St, Indianapolis, IN. Wednesdays, 9:30 a-1:30 p. Statehouse Market, in the Robert Orr Plaza between Government Buildings North and South (corner of Washington St and West St), Indianapolis, IN. Thursdays, 10:30 a -1:30 p (see schedule) Fishers Farmers Market, 1 Municipal Dr, Fishers, IN. Saturdays, 8 a- Noon.